Taylor Swift has a brother. Did you know that? If you're a passionate Swift fan, you probably did, but otherwise you might just think he's some random sibling who you've never seen before. 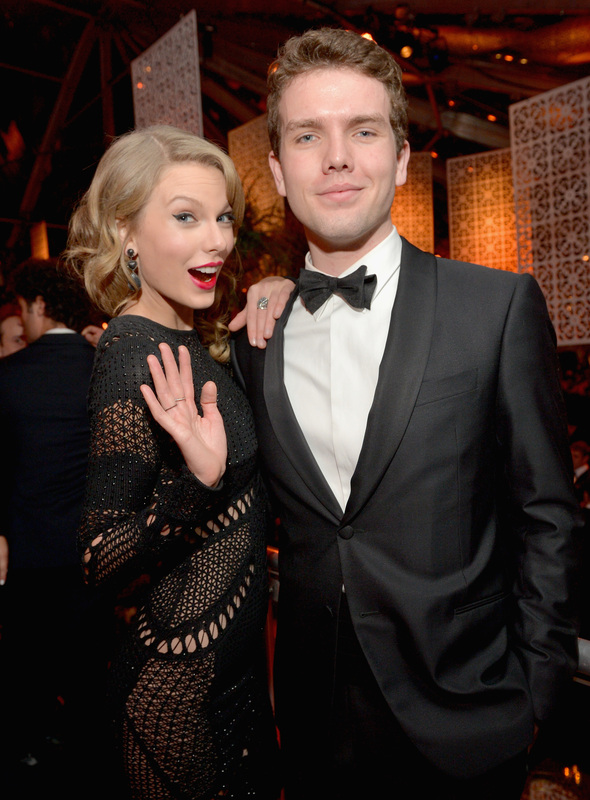 Well, the truth is, Taylor Swift's brother, Austin Swift, is a random sibling, but you've probably seen him without even realizing it. This guy is everywhere. When Taylor Swift attends an event, hangs out with her battalion of celeb best friends, or cooks a gourmet meal with Ina Garten, Austin is there. Lurking in the background — okay, not lurking, but standing just out of the camera's frame. We can assume that this is the photographers' doing, not a consequence of Austin jumping out of the way at the last second. And sometimes — plenty of times actually — Austin is photographed at events with Swift, but those pictures are generally not used because why show Swift looking incredulous at an award show with some dude next to her when you can show her looking incredulous in a close-up shot? There isn't a ton of available information on Austin, but on his Twitter page he describes himself as "the Winner of the 2006 Ellis Middle School 8th grade Social Studies Award." That's good enough for me! As for what else we know about him, well, he is often photographed with his sister; although you likely didn't notice because you were too busy pondering the authenticity of Taylor Swift's surprised face. And he looked like a normal gymgoer. Betty Draper called, she wants her dress back. BUUUUUURNNNN! He was right there and had to watch his big sister go wild with dress-dancing. Need further proof? Clearly something was up, and Austin was right there by Taylor's side. Okay, so Austin wasn't exactly there when she made it, but Taylor made one for her brother, too. While people went crazy over the one for Ed Sheeran, no one had anything to say about poor Austin's. She won Favorite Country Artist that year. Can you tell she's in a good mood? HE WAS THERE FOR INA! This has to have been the time he was most excited about being Taylor Swift's brother. And he pretended he was walking the other way. Austin supports Taylor through all of her hairstyles. If I'm not mistaken, that's him at the far right. I remember pictures of Taylor Swift in a Christmas onesie going around Le Interwebz, but I totally didn't remember she has a brother. I spot Selena Gomez and Jaden Smith, but where's Austin? Oh, there he is! Just business as usual for these two. I'm an only child, so help me out here: Does the oldest sibling always sit at the front when it comes to equine travel? I truly hope "Where's Austin" catches on as a real-life version of "Where's Waldo" for everyone reading this.